Choice Task: How does excess in diet affect your body? It is important that our students address social justice in their studies. In order to effectively integrate social justice into our unit, we use Teaching Tolerance's Anti-Bias Framework. The framework incorporates identity, diversity, justice and action to take on social justice. In our unit, we incorporate the standards in a cooperative learning activity, during service learning and in a Spanish lesson that takes on stereotypes. Anti-bias Framework Domain: DI.6-8.6 (diversity). I interact with people who are similar to and different from me, and I show respect to all people. Students will be expected to interact respectfully with all members of their group despite any differences between group members. We have chosen this Anti-bias standard and outcome because respectful behavior is a crucial element of cooperative learning. Click here to see our full Cooperative Learning Lesson. 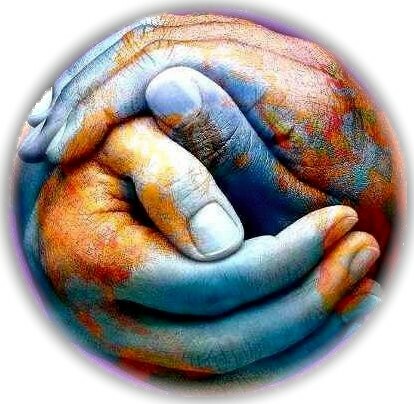 AC.6-8.20:	I will work with friends, family and community members to make our world fairer for everyone, and we will plan and coordinate our actions in order to achieve our goals. Overview: Stereotypes simplify a rich, diverse group of people; They categorize individuals with simplified, surface-level labels. Essentially, they rob people of their individuality and they rob groups of their history, culture and diversity. Stereotypes are harmful, and in order to create a more socially just society, we must confront them. This unit gives us the perfect opportunity to confront stereotypes about food. The first day of Spanish class, we will do an activity to identify common stereotypes about food, challenge those stereotypes and come up with an action plan to confront them. This lesson addresses the units Essential Question 1) How can we enjoy food, eat moderately, and balance our nutrition at the same time? Getting past stereotypes, we can more fully enjoy the foods of other cultures. Students will know how seemingly harmless stereotypes about food can be harmful. They will see how these stereotypes simplify and distort a persons culture and identity. Furthermore, students will develop and action plan for confronting those stereotypes that they will be able to use throughout their life. How can stereotypes about food be harmful? How can getting past stereotypes about food help us more fully enjoy the foods of different cultures? How can you confront strangers, friends and family when they express stereotypes. ACTFL Standard 2.2: Students demonstrate an understanding of the relationship between the products and perspectives of the culture studied. 5. Students will recognize traits of the dominant culture, their home culture and other cultures and understand how they negotiate their own identity in multiple spaces. 7. Students will develop language and knowledge to accurately and respectfully describe how people (including themselves) are both similar to and different from each other and others in their identity groups. 13. Students will analyze the harmful impact of bias and injustice on the world, historically and today. 18. Students will speak up with courage and respect when they or someone else has been hurt or wronged by bias. Students will be able to identify stereotypes about food in different cultures, analyze the harmful impact of those stereotypes, and develop an action plan to confront those stereotypes. After the think pair share, students write their action plan in on paragraph and turn it in for their ticket out the door. 1) After reading several definitions of stereotypes, students work in groups to brainstorm stereotypes they have heard or seen about what different cultures eat. After discussing in small groups, the students report back, and the teacher writes the students answers in a word-web on the board. 2) In groups Students jigsaw the different stereotypes that came up. They search for three to four counter examples to the stereotypes. After, they present these counter examples to the whole class. For example, a group tackling the "rice and beans" stereotype of Mexicans may present Mole Poblano as an counterexample. 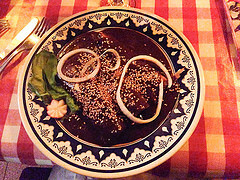 Mole is a rich sauce that contains many ingredients and has a rich history. Getting past the stereotype, you begin to discover a richer culture of food and history! 3) Using the word web as a spring board for discussion, the teacher leads a socratic seminar to discuss the essential questions. 4) Students do a think-pair-share to brainstorm an action plan for confronting stereotypes about food when they hear them in public. After the think-pair-share, students finalize a one-paragraph, action plan for confronting these stereotypes for their ticket out the door.